Club Lime in Canberra is the first gym Jenna belonged to. Photos: Supplied. 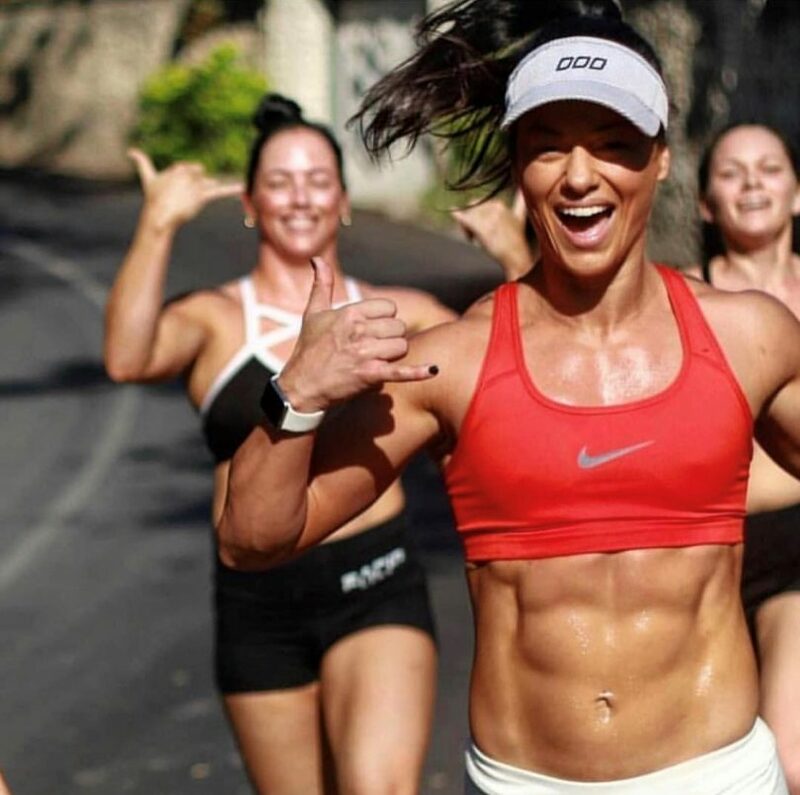 Jenna Louise is on a fitness mission. Indeed, she’s been on a mission for years and there are no signs of her slowing down. Jenna will be in Canberra this Saturday, with her fiancé Scott Evennet, to host a ‘Summer Throwdown’ fitness session at Club Lime. And those who sign up to participate better get ready ’cause there ain’t gonna be any excuses for not movin’ during this one-off fitness event. You see, Jenna is a personal trainer, mindset, performance coach, Ninja Warrior Athlete and fitness model (whew). Scott’s a former military commando and fitness coach (whew). The couple are famous for their six packs and the myriad of fitness stuff they’re right into. But don’t be afraid, the fitness duo is holding Throwdown for folks of all ages and fitness levels, with the major aim of having fun. Jenna trains at least twice a day, sometimes in her own studio. And, more often than not, you see her trying to train with Dutchie, her French bulldog who sometimes just gets in the way. Jenna with Dutchie, her French bulldog. Jenna’s career has taken her to many places and given her many new opportunities. Jemma modelling at FASHFEST, Canberra’s biggest red-carpet fashion event. Photo: Martin Ollman. So what are Jenna’s tips for those who want to start moving but aren’t sure how to start? Group fitness is always energising, says Jenna. Club Lime’s Summer Throwdown will be held this Saturday, 22 December, 8:30 am to 10:30 am, at Club Lime Platinum CISAC, 100 Eastern Valley Way, Bruce. It’s free for members and $20 for non-members. All fitness levels and abilities are welcome. Limited spots are available so sign up ASAP on Facebook. Jenna works out twice a day at a minimum. Photo: Marceau Photography.